A recent article Inc.com article claimed that the percentage of U.S. small businesses using cloud computing is expected to more than double during the next six years, from 37 percent to nearly 80 percent (https://www.inc.com/graham-winfrey/why-the-cloud-will-transform-small-business-by-2020.html). This forecast was gleaned from a just released Emergent Research and Intuit study. This statement is also very scary in that it also highlights the growing importance of the cybersecurity threat to the nation’s economic livelihood. Jeremy Grant, an adviser at the Department of Commerce’s National Institute of Standards and Technology, says in the past two years he has seen “a relatively sharp increase in hackers and adversaries targeting small businesses.” According to Symantec, cyberattacks on small businesses rose 300 percent in 2012 from the previous year (https://www.inc.com/jana-kasperkevic/cyber-spies-target-small-businesses.html). The rapid rise in the adoption of cloud by small business therefore also indicates that cloud is rapidly becoming critical to the nation’s economic stability. 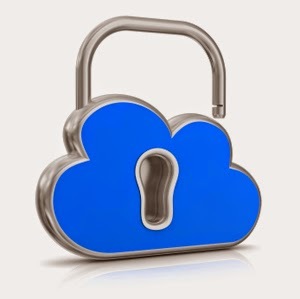 With this, national cybersecurity will essentially be synonymous with national cloud computing security. If you are a small business owner then, you should take action today. To begin with, visit SBA’s Cybersecurity for Small Business (https://www.sba.gov/tools/sba-learning-center/training/cybersecurity-small-businesses). This self-paced training exercise provides an introduction to securing your information. Topics include: Defining cybersecurity; Explaining the importance of securing information through best cybersecurity practices; Identifying types of information that should be secured; Identifying the types of cyber threats; Defining risk management; and Listing best practices for guarding against cyber threats. You should also create your own cyber planning guide by visiting the FCC Small Biz Cyber Planner 2.0 (https://www.fcc.gov/cyberplanner). Use this tool to create and save a custom cyber security plan for your company, choosing from a menu of expert advice to address your specific business needs and concerns.